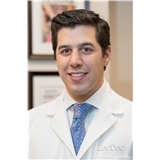 Dr. Nicholas Argerakis (New York) - Book Appointment Online! Dr Argerakis' treatment could not have been better. From the initial diagnostic phase through surgery and then the recovery period, he and his team were both reassuring, extremely competent and accommodating. I would recommend him to anyone, particularly if they think they may require surgery.